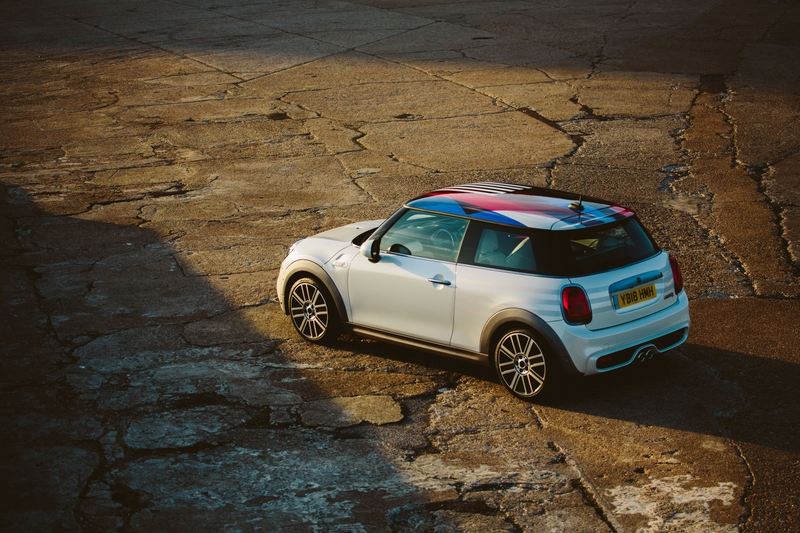 Cheers to the royal couple. 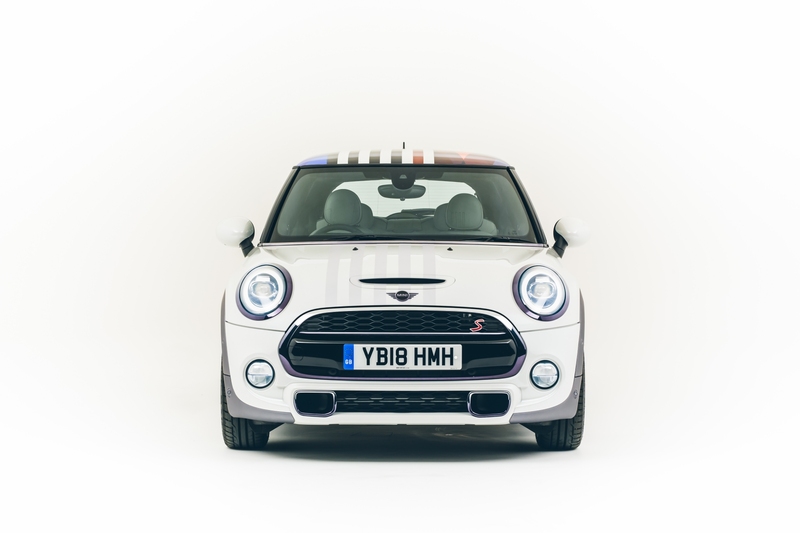 MINI celebrates the upcoming nuptials of Prince Harry and Meghan Markle with this one-off MINI Hatch designed to commemorate the royal wedding. 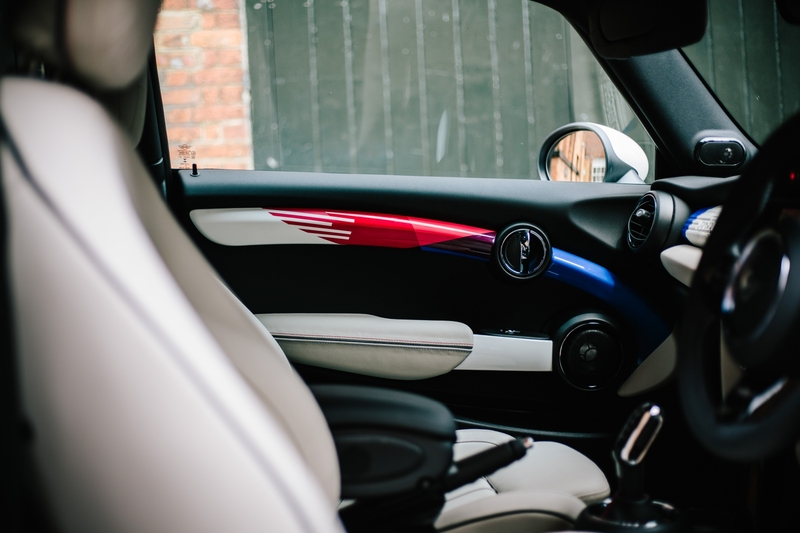 After the wedding, which is scheduled for May 19, this unique car will be donated to The Children’s HIV Association (CHIVA), the couple's chosen charity, for public auction according to a press release. 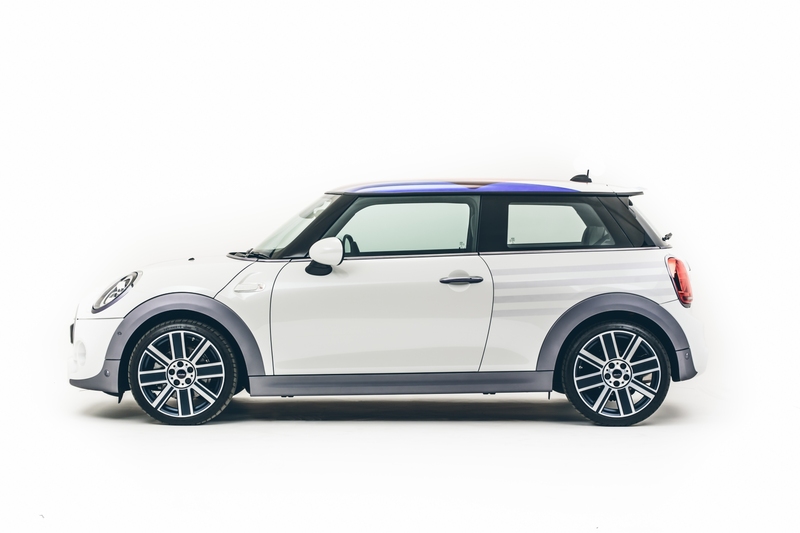 This highly-stylized hatchback has been rendered in a Crystal White paint scheme with silver-blue accent strips, and the slim black band that wraps around the car gets a "blue-tinted matt silver paint finish," yes, that is the whole description. 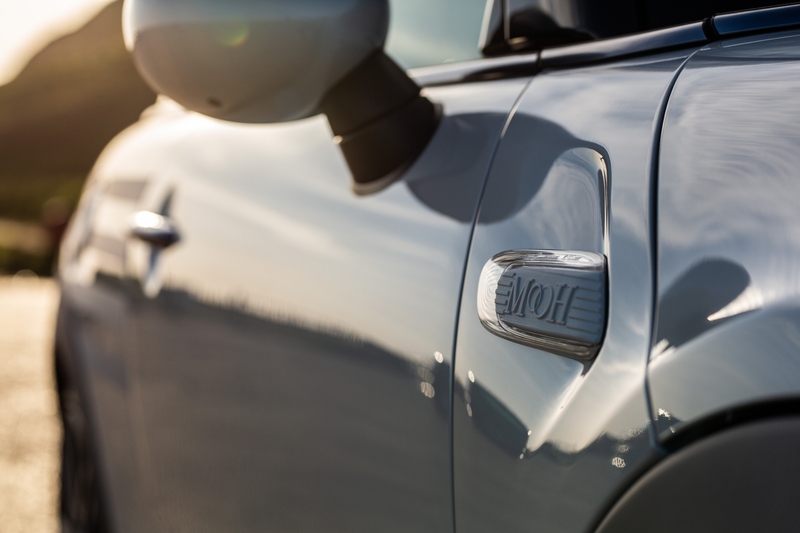 Several recognizable MINI features in chrome, such as the door handles, surrounds for both the headlights and taillamps, and the hexagonal radiator grille get the blue-black tinted clear coat as well. 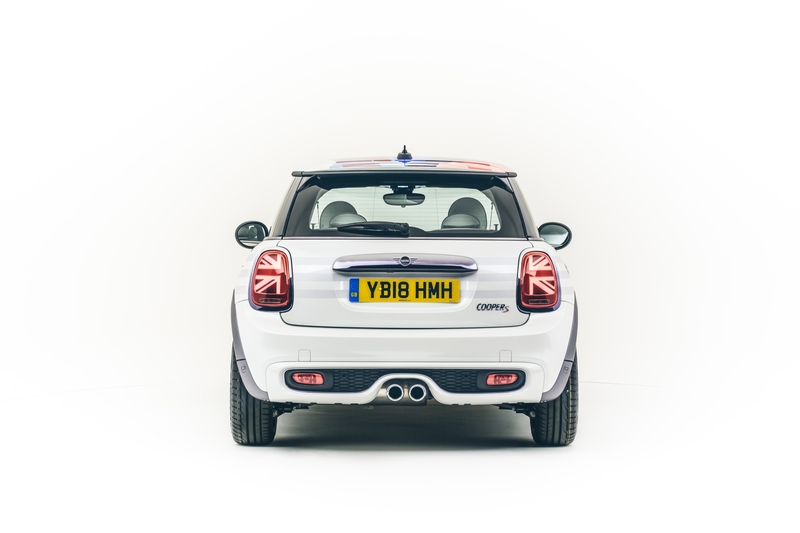 There is even innovative Union Jack detail, split between both the rear lamps. 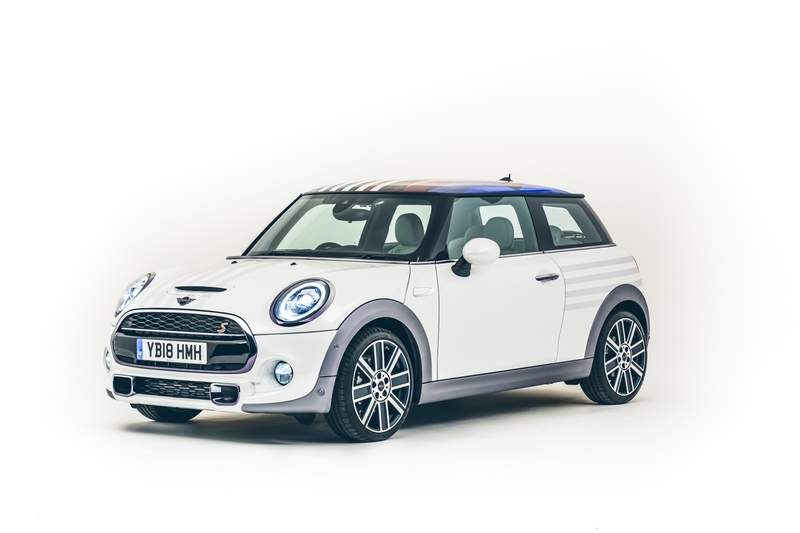 That, along with dark-blue matt metallic wheel rims complete the look on the outside. 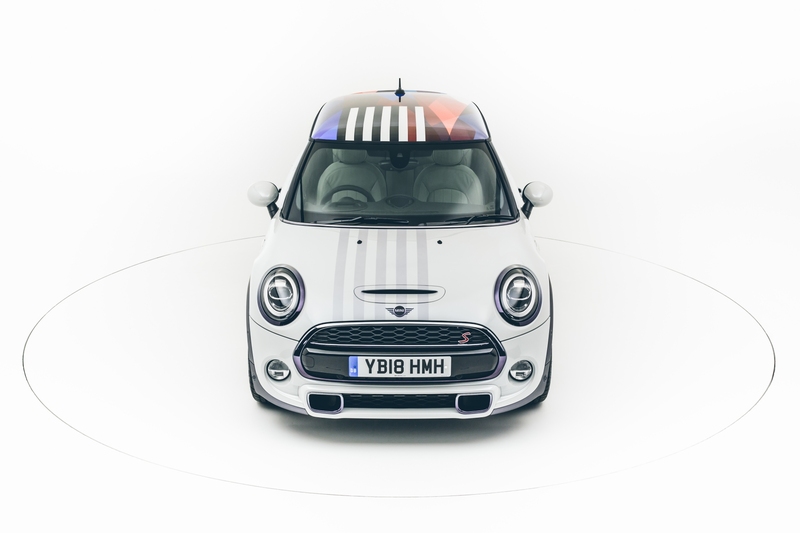 And as with tradition, this one has a unique roof graphic as well. 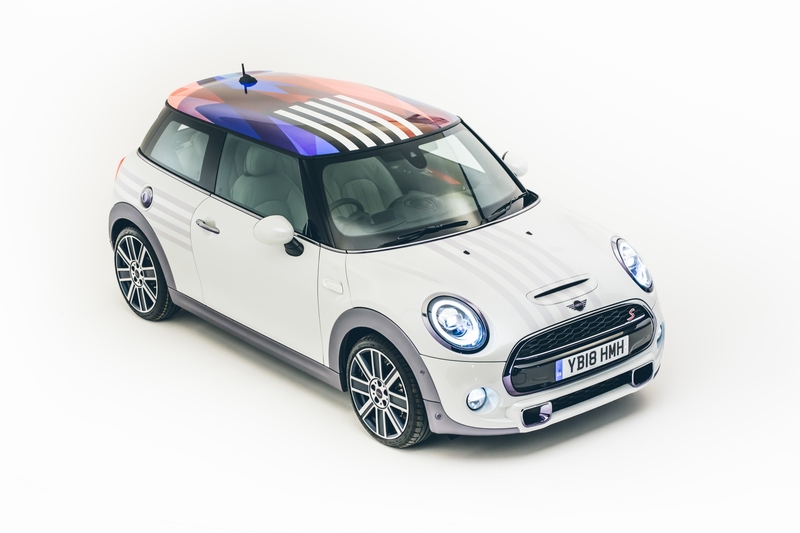 It uses an amalgam of colors applied by hand in several layers, bringing the elements of Prince Harry and Meghan Markle’s national flags together; the Union Jack and the Stars and Stripes. 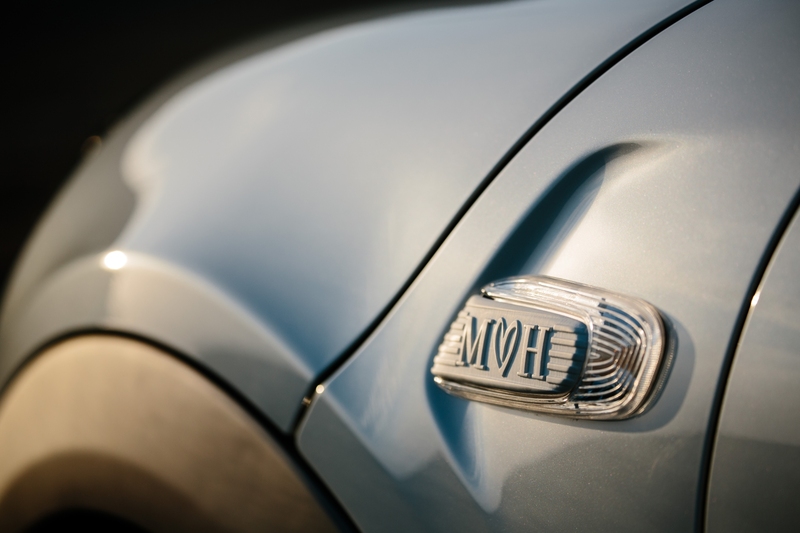 There is also a cutting-edge stuff incorporated to this vehicle in the form of special MINI side scuttles near the indicators, which have been 3-D printed and are embellished with the initials "M" and "H" with a heart and rings. 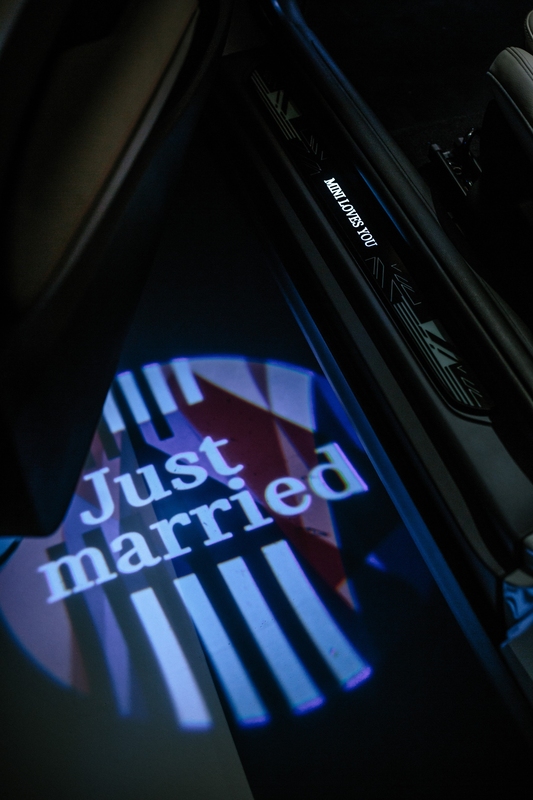 Also, when the door is opened, an exclusive “Just Married” image is projected onto the ground. 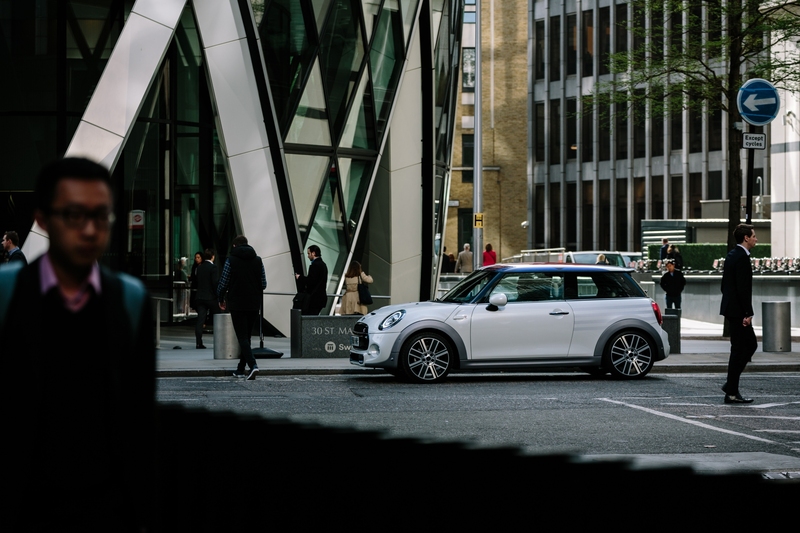 To help accentuate the many bespoke elements MINI has cleverly draped the interior in Satellite Grey leather. 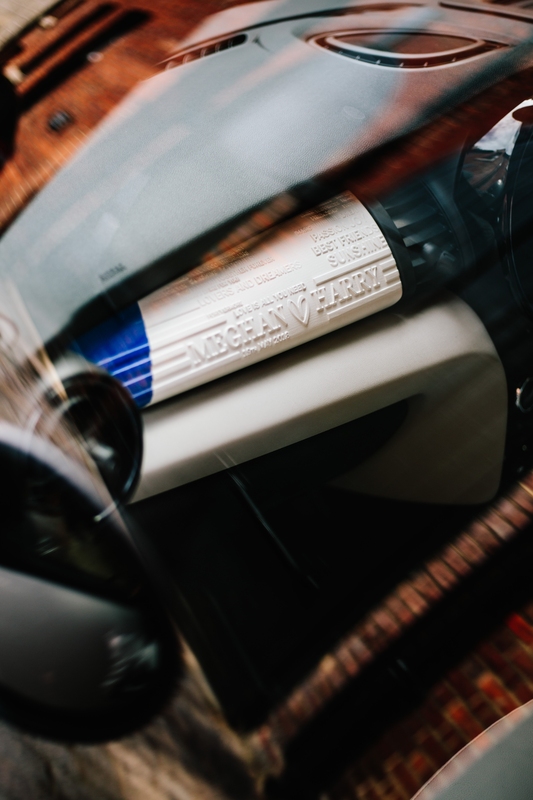 The blue-black tinted clear coat on select chrome features can be found on the inside as well. 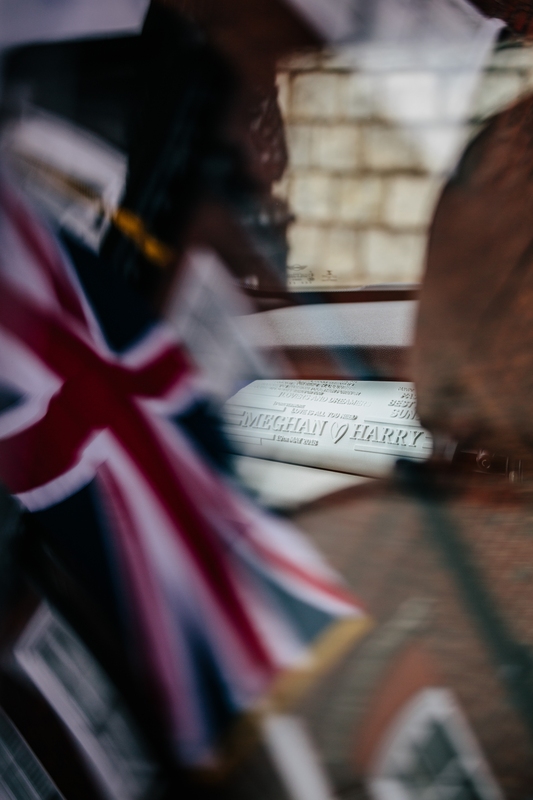 The first names of the bride and groom, Meghan and Harry, plus the wedding date and good wishes to the newlyweds have been added to the large trim in front of the passenger seat. 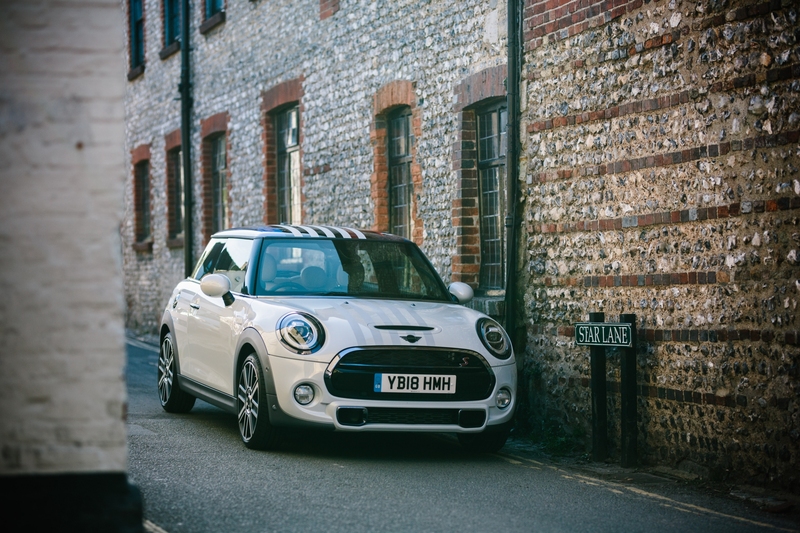 The roof graphic also inspires the door accents, areas behind the steering wheel and the head restraints. 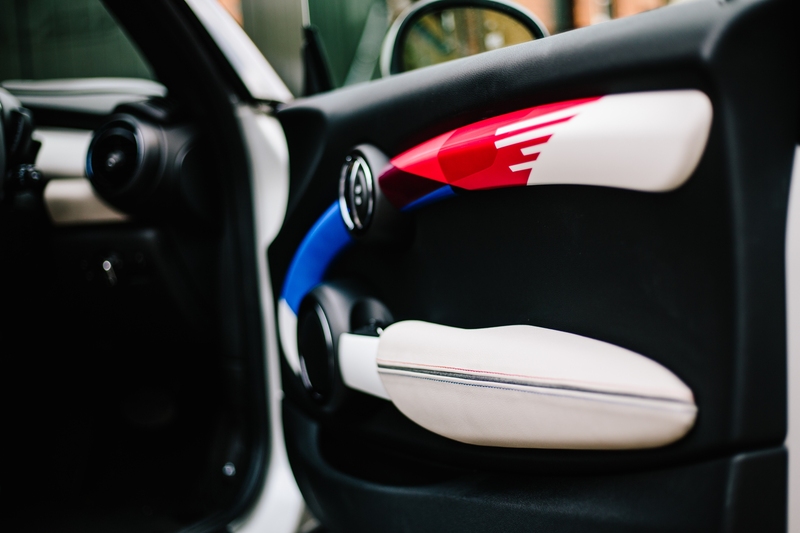 As with the head rests, the Union Jack has been depicted on one side and a Stars and Stripes, with perforation and stitching, on the other. 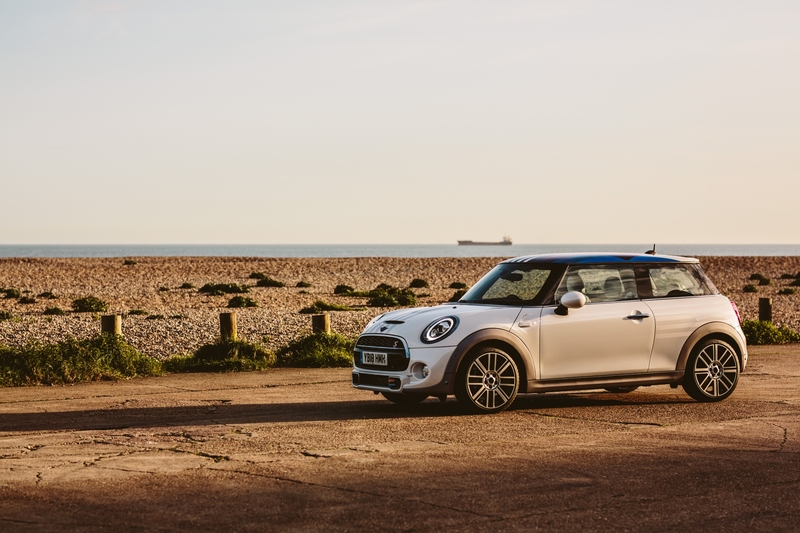 And although, MINI hasn't specifically mentioned it, we can tell by the dual exhaust and the "S" badging that this is the more powerful Cooper S model. Markle being American, divorced, and biracial, as far as British royal weddings go, this is one of a kind. 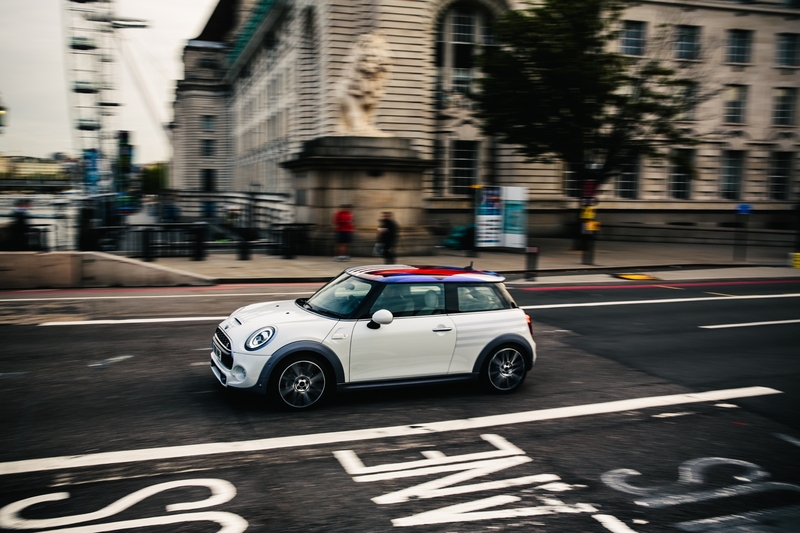 And this MINI by the German-owned British brand is a one-of-a-kind design, which represents not just the mingling of two families, but of communities, and the breaking of tradition.